During the Sukkot holiday of 1960, Israel’s 2nd President Yitzchak ben Zvi (see photo top) took the opportunity of an official visit to the Sukkah of then Sephardic Rishon Lezion, Yitzchak Nissim (third from top), to raise the issue of Karaite-Jewish rights in the Jewish State. 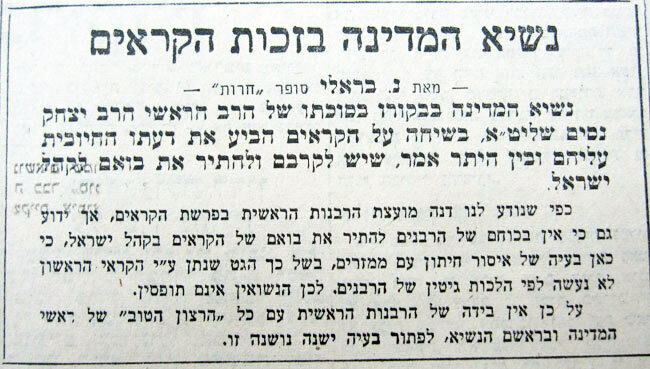 Ever since the “Karaite question” arose in Israel, the Israeli Rabbinate, that is given official jurisdiction over issues of marriage and divorce, has officially declared the community persona-non-grata claiming fears of illegitimacy (because their divorce practices differ from the Talmudic one). 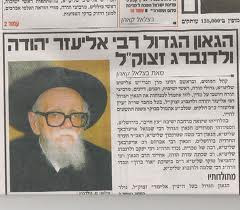 At best, Ovadia Yosef (who once served in the Rishon Lezion capacity) once offered that they may be accepted only if they take upon themselves the Rabbinic lifestyle and reject the Karaite one. In the early years of the Jewish state, many Rabbis, including those from the official Rabbinate expressed unrestrained hostility towards the Karaites. Foremost among them was Rabbi Eliezer Yehuda Waldenberg (second from top), who served as the head of the Rabbinic court for many years and was also recognized as a prodigious scholar (his 22 volume of responsa ציץ אליעזר remains quite popular). Waldenberg penned a scathing attack against the community, in one of his responsa, calling them 'heretics' and maintaining that they should not be permitted to marry Jews. He even went as far as to call for a ban on their immigration to Israel (during a time of increasing anti-Jewish unrest in Egypt). Fortunately, cooler heads prevailed. 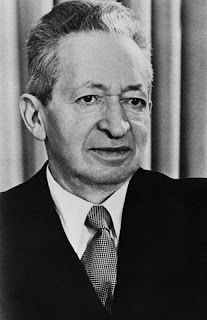 Waldenberg, ever the purist, also rejected the legitimacy of the Bene Israel Jewish community of India. Yitzchak Ben Zvi, who had a deep love for history- especially those of exotic Jewish communities, argued that the reason for their barring was negligible and that they should be brought closer not pushed away. Rising to shake the President's hand, Rabbi Nissim thanked Ben Zvi for his visit and "apologetically" intoned that it was beyond his power to change the status of Karaite Jews. 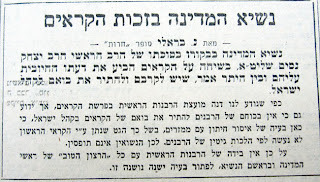 The minutes of the meeting were reported in the Herut newspaper the next day (see comment 1 and photo bottom) and garnered a furious response from the office of Rabbi Nissim claiming that the conversation never took place. This in turn garnered an anonymous letter to the editor from someone who claimed to be present at the meeting and insisted that the original report was authentic. The anonymous writer also added this sardonic remark: “we are glad to see that the denial came from the offices of the chief rabbi and not from the chief rabbi himself”. אנחנו חייבים לקרב את הקראים קרוב אלינו כמה שאפשר. הקראים, אשר הם אחינו, בני אברהם יצחק ויעקב מונים ביניהם כהנים, לויים ובני ישראל. כמונו הם מטפחים אהבה עזה לארץ, לתורה ולשפה העברי. יהדותם אינה מוטלת בספק! חכמים, היזהרו בדבריכם! (ציטוט מתוך המשנה) חלילה לנו להטיל דופי על קהילה שלמה אך ורק על בסיס של חשד שאולי אחד אבותיהם לא התגרשו על פי ההלכה הרבנית. בגלל ספקות רעועות כאלה, הנשמיץ קהילה שלמה? We are to bring the Karaites close to us as much as possible. Karaites ,who are all our brothers, count among their number: Cohanim, Levites and Israelites. Like us they nurture a strong love of land, Torah and the Hebrew language. They are a commuity recognized by the state who encourages them to ascend and build within it. Their Jewishness is beyond question! Wise men, be careful with your words! (a quote from Mishna, ABOT 11). Heaven forbid that we cast aspersions on an entire community solely on the basis of suspicion that maybe one of their ancestors divorced not according to Rabbinic Halakha. Because of such shaky doubts, shall we defame an entire community? The Karaites of Israel deeply appreciated (and still do) these gestures and named several of their synagogues after him (see photo, fourth from top).